I recently took part in a round table discussion about writing historical fiction for young people with a number of other authors. Sheena Wilkinson has written about it for The History Girls blog. I’m sure many of you will already know all about Tommy Donbavand, the author of almost a hundred books including the Scream Street series. Tommy is currently undergoing treatment for throat cancer, and you can read his honest and moving account of it here. A large part of the children’s writing community has come together for the Tommy V Cancer blog tour. For the whole of this month, we’re posting reviews of Tommy’s books on our websites. You can find the rest if you follow the hashtag #tommyvcancer on Twitter. I write for the same Badger Teen Reads series as Tommy, so I’ve chosen one of his books from it, Home. Home is a brilliant example of how to entertain struggling readers without talking down to them. It’s got the word count of a short story, but it’s divided into ten chapters with cliffhanger endings, giving it the feel of a novel. The book starts in the sort of family setting the readers will relate to, before gradually introducing a supernatural element. 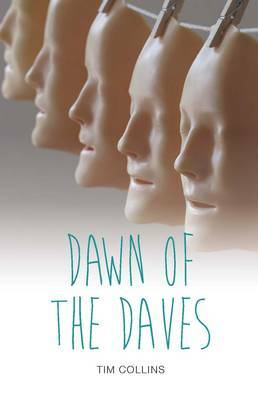 It takes the story into territory that’s somewhere between The Monkey’s Paw and zombie movies, all filtered through Tommy’s darkly humorous style. The grisly subject matter lets teenagers know the book has been written for them. 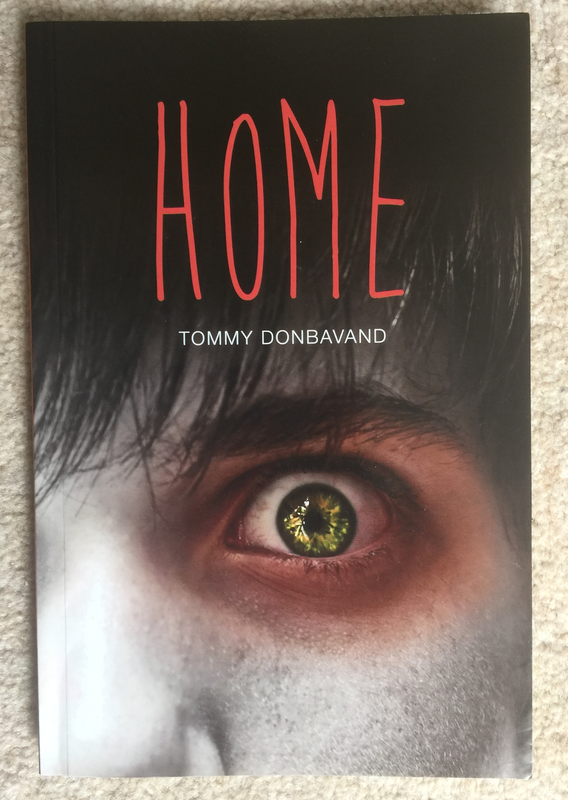 Titles like Home mean that struggling teen readers no longer suffer the shame of being handed a book clearly aimed at younger children. The text is broken up well but the book doesn’t make the mistake of making every sentence unnaturally short to create an easy read. The paragraphs build up pace nicely, leading to punchy chapter endings. Home is a great example of how gripping storytelling can hook unconfident readers into the world of books. 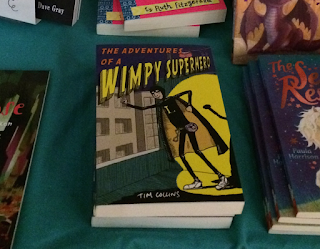 Adventures of a Wimpy Superhero was one of the titles included in this year's SCBWI Mass Book Launch, hosted by Candy Gourlay. This is the sixth time I've been to the SCBWI Winchester conference, and it's always terrific fun. Thanks to everyone who helped to organise this fantastic event. 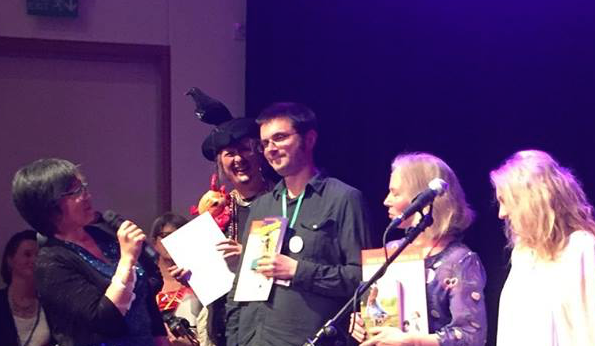 I had a wonderful time at the first ever UKMG Extravaganza in Nottingham last weekend. It was great to meet so many other authors who write for the same age group. 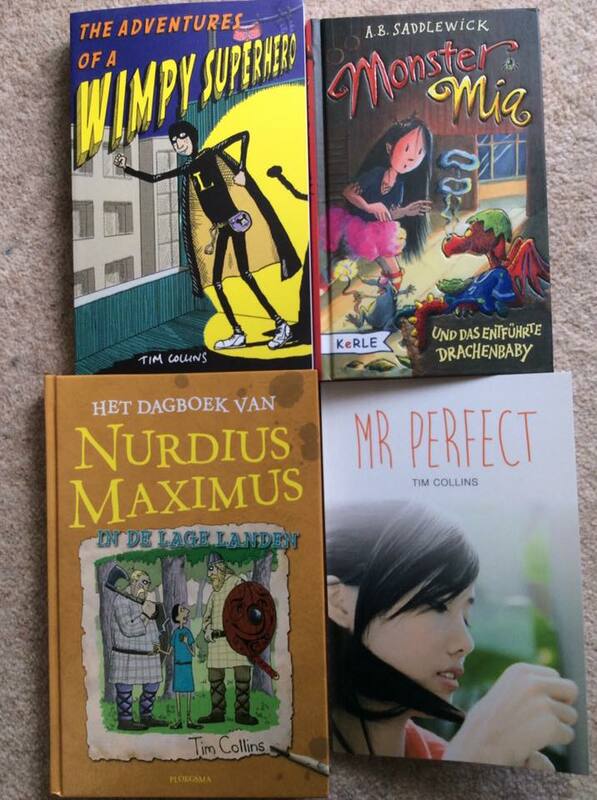 I blogged about the importance of writing for reluctant readers as part of the UKMG blog tour. You can read my guest post at Sitting on a Cornflake. Thanks to Kerry Drewery, Emma Pass, Jo Cotterill, Paula Rawsthorne, Waterstones and the librarians of Nottingham for this great event. Adventures of a Wimpy Superhero is out today in the UK. Once again, I have been very lucky to work with the illustrator Andrew Pinder. This photo shows the book with my three other September publications. Dorkius Maximus in the Low Countries is out in Holland, Monstrous Maud's Fiery Fiasco is out in Germany and Mr Perfect is out in the UK. Here is the UK Amazon link for Wimpy Superhero. 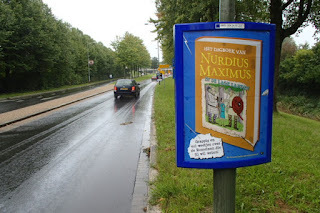 A new volume of Dorkius Maximus has just been released in the Netherlands and it's being given a big push with outdoor and magazine ads. I'm very grateful to publisher Ploegsma for getting behind it so much. If you can read Dutch, you can find out more about it here. 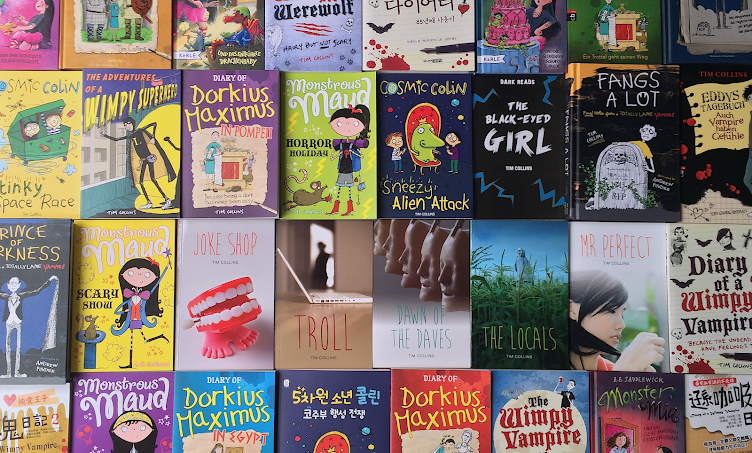 I’ve spent much of this year writing stories for reluctant readers, which are published through Badger Learning. I’ll post more about them soon, but in the meantime here’s an excerpt from a Q and A I did with them a while ago, which explains why I wanted to get involved with this important sector. I believe anyone can become a reader if they’re given the right book and that becoming one will help them with many aspects of life. I’ve written series fiction for younger children as well as teen novels, so I was very keen to write stories with a high interest age and low reading age. They’re often aware of tracking words on the page in a way that regular readers aren’t. We need to make them forget their physical experience of holding a book and draw them into the fictional experience of the characters. One way to do this is present situations and characters they can identify with and give them a fantastical twist. In terms of content, I try to bring horror, fantasy or action into everyday life. In terms of structure, I try to write short chapters and keep them as single scenes. I try to enter the scene as the conflict is escalating, just as a screenwriter would, and go out on a cliff-hanger. I hope high-low books can stop reading feel like a stressful classroom chore and bring it into the realm of entertainment, along with fast-paced films, TV shows and games.